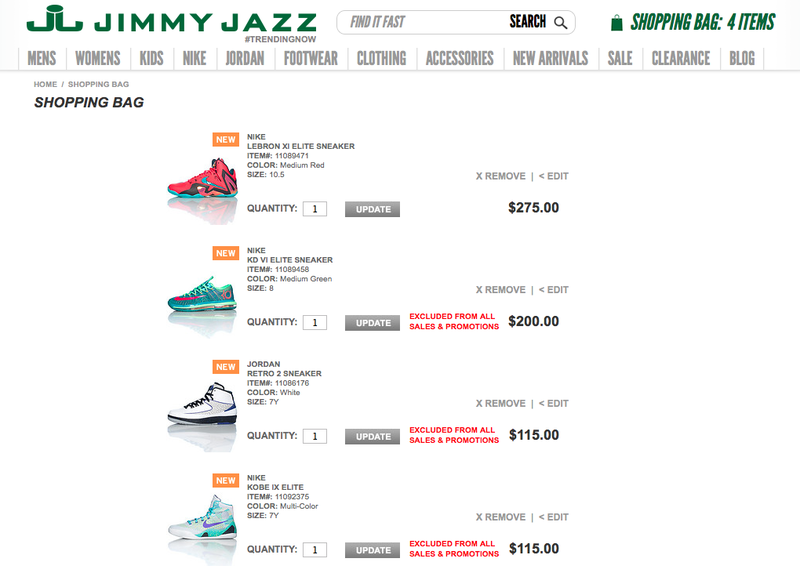 The Add To Cart game is back on. The links have been fixed again. You can checkout now and beat the rush on launch in the morning. These links are floating around, so check out now before they are out of stock. 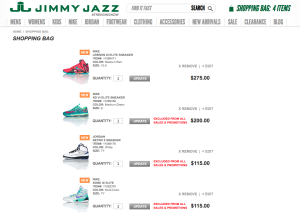 Use the links below to add the Nike Elite Hero Pack to your cart then open a new tab and go to jimmyjazz.com and like magic they appear in your cart. Then check your cart and check out. All hail NikeDestroyer for reverse engineering the process for the sneaker heads.